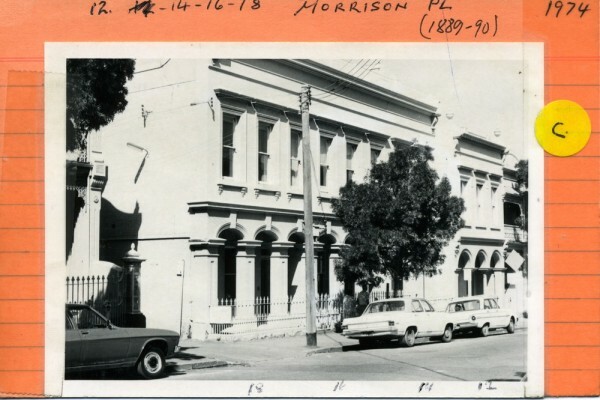 Used to be Brunswick Street. 1867. MCC BR: Peter Cunningham 2 houses for Geo. White. 1869. Name mentioned for No.18: G. White. 1872. Names mentioned for No.14: Richard H. Thatcher. For No.16: Joseph French. 1883-9. At No.16: Hon. Peter Lalor. Eureka Leader, Speaker of House. Died here 1889. 1885. 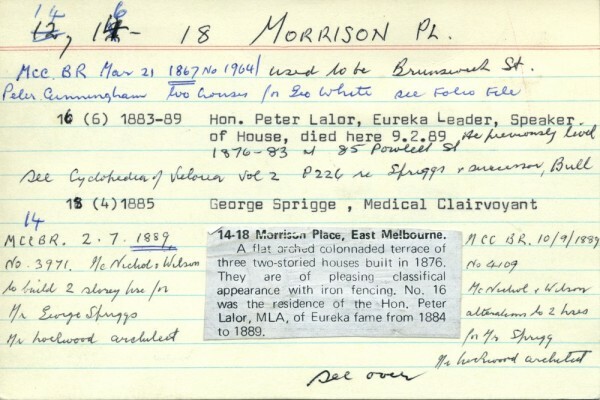 At No.18: George Spriggs, Medical Clairvoyant. Listed in 1888 as owner/occupier. 1888. At No.16: Meares and Burnside - owners. Peter Lalor - occupier. Brick, 8 rooms. 1889. 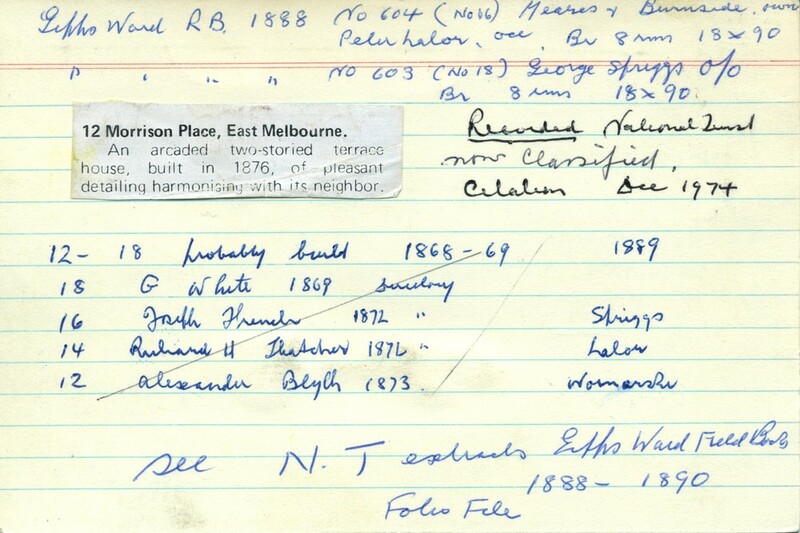 MCC BR: McNichol and Wilson to build 2-storey house for M. George Spriggs (No.14), also alterations to 2 houses. Architect for all works - Mr. Lockwood. 1889. 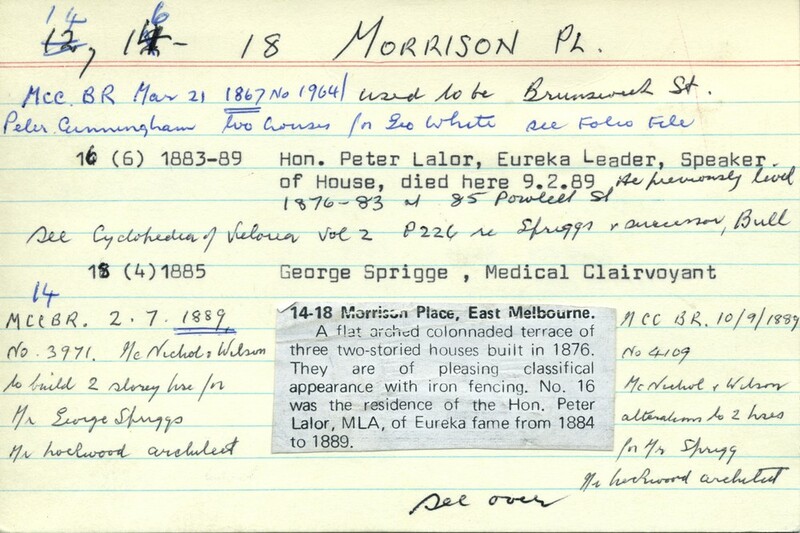 Names mentioned: Spriggs, Lalor, Wornarski. Recorded National Trust, now Classified. Citation in 1974. Refer Index cards for further details. Photo shows Nos. 14-18(on left) in central block.